Here at S.I.A we live for carnival! 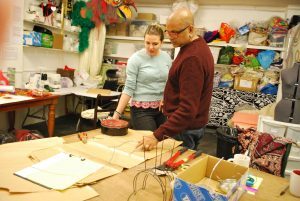 Our South-London based workshop is full to bursting with IDEAS, TOOLS and COSTUMES! Whether you’re looking for someone to design and make costumes, manage your project, or perform at your event – with over a decade of experience – S.I.A can make it a spectacular reality. We want to hear about your ideas for CARNIVAL PROJECT OR WORKSHOPS… We can deliver all aspects of your carnival project including designing, making, project management and performance.